(CNN) - China's chief trade negotiator will head to Washington in two weeks as the world's top two economies seek a way out of their trade war. 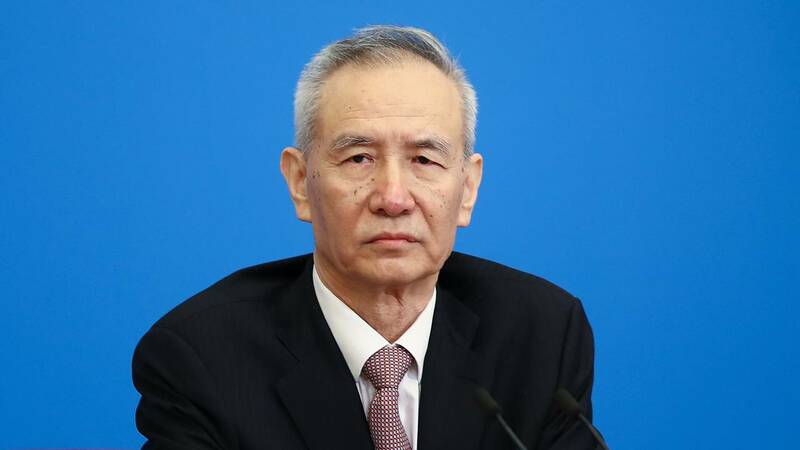 Vice Premier Liu He will travel to the United States for two days of talks starting January 30, Chinese Commerce Ministry spokesman Gao Feng said Thursday at a regular news briefing. Liu is going at the invitation of US Treasury Secretary Steven Mnuchin, the spokesman added without giving further details. CNN has previously reported plans for the visit. The Trump administration has not yet confirmed the talks. Liu's planned visit follows negotiations last week in Beijing that were expected to lay the groundwork for higher-level talks. The two governments are scrambling to strike a deal by March 2, when the US government plans to hike tariffs on $200 billion of Chinese goods to from 10% to 25% if no agreement is reached. President Donald Trump has also threatened to impose new tariffs on another huge swath of Chinese products. On Thursday, the Wall Street Journal reported that Treasury Secretary Steven Mnuchin has floated the idea of easing tariffs on Chinese goods in order to calm markets and advance trade talks between the two countries. The Journal cited people close to the talks and added that the idea had not been formally presented to Trump. A Treasury spokesperson told CNN that "neither Secretary Mnuchin nor Ambassador Lighthizer have made any recommendations to anyone with respect to tariffs or other parts of the negotiation with China." "This is an ongoing process with the Chinese that is nowhere near completion," the spokesperson added. American negotiators said last week that there was a focus at the Beijing talks on Chinese purchases of "a substantial amount" of US agricultural, energy, manufactured goods and other products and services. But the statement didn't mention new deals or US concerns over forced technology transfers and theft of trade secrets. The Chinese government said that the talks — the first since Trump and Chinese leader Xi Jinping agreed to a truce last month — had "laid the foundation for resolving issues of mutual concern." The trade war has contributed to an economic slowdown in China and triggered volatility in US markets. Earlier this month, Apple (APPL) warned that weakening demand in the Chinese market would hurt its fourth-quarter revenues. Investors are hoping the talks between the two governments will eventually bring an end to the hostilities.